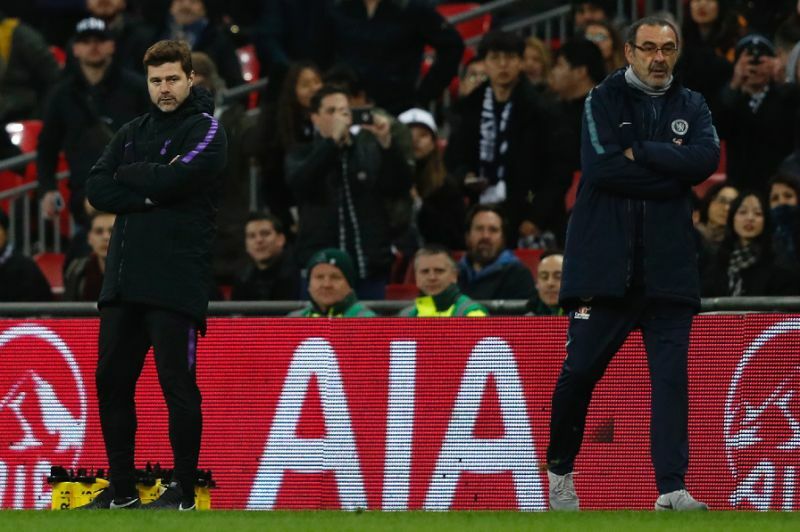 Tottenham boss Mauricio Pochettino says he's no fan of VAR after benefiting from the technology for tonight's Carabao Cup semifinal first-leg win over Chelsea. A Harry Kane penalty in the first-half - which was awarded via VAR - earned Spurs the 1-0 win. I don't like the VAR. Today we get the benefit of it but after watching the World Cup and another league like La Liga I see that nobody is happy from day one that they started to use it. To get the benefit is nice but I am unhappy to win the game like this. I prefer the technology but in a different way. Being clear. I am pro technoolgy because you cannot stop evolution but we are waiting so long, it is not clear what are the rules. We all have to agree, the players, the coaching staff, I watch every week La Liga and nobody is happy, the big clubs and the small clubs. If you are playing to win the title or to stay up nobody is happy. That is a good example for us. We have six months to improve the system and there is a lot of work to do. We were very competitive. Chelsea pushed us in some periods and they have a lot of quality. I am so pleased because we scored and then competed well. They pushed us to play deeper, and if we linked up a bit better, we could have scored another goal but I am happy. The tie is still open.